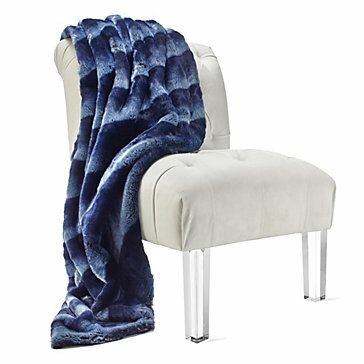 Faux in fur, but certainly not faux in warmth or softness, the sapphire Zambia Oversized Throw will take away the winter chill and replace it with a blanket of coziness. The irresistible supple texture and layered earth tones make this blanket a functional decorative item for the home. Exclusive to Z Gallerie. Color may transfer on light surfaces.